Now you'll establish your computer can communicate to your groov EPIC controller. There are four steps to connect to the groov EPIC controller. 1. Double-click Device (GRV-EPIC-PR1) in the Device Tree. The Device tab for the GRV-EPIC-PR1 appears. The green dot next to the Gateway indicates your computer can communicate to the network. The black dot next to the image representing your groov EPIC unit indicates that the controller is not yet communicating on the network. 2. 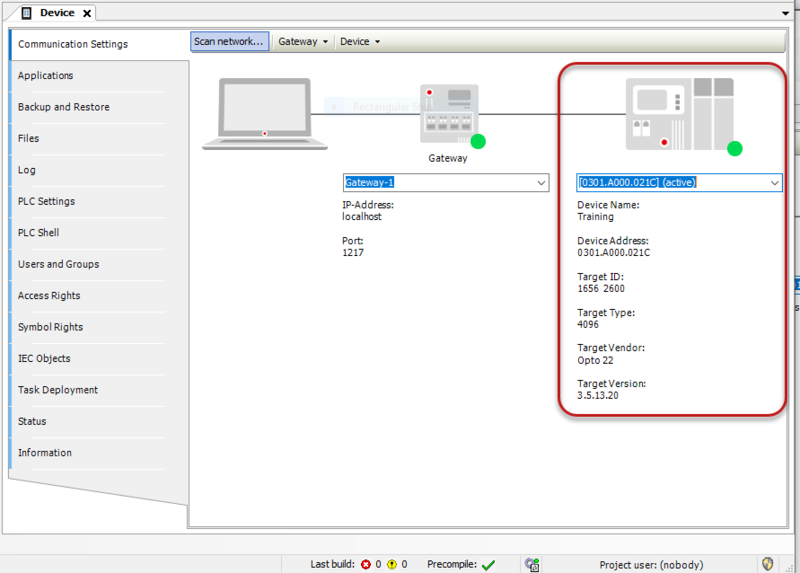 Select the Scan Network tab to display the GRV-EPIC-PR1 controllers that are on the network. The example shows that there are four controllers available. 3. 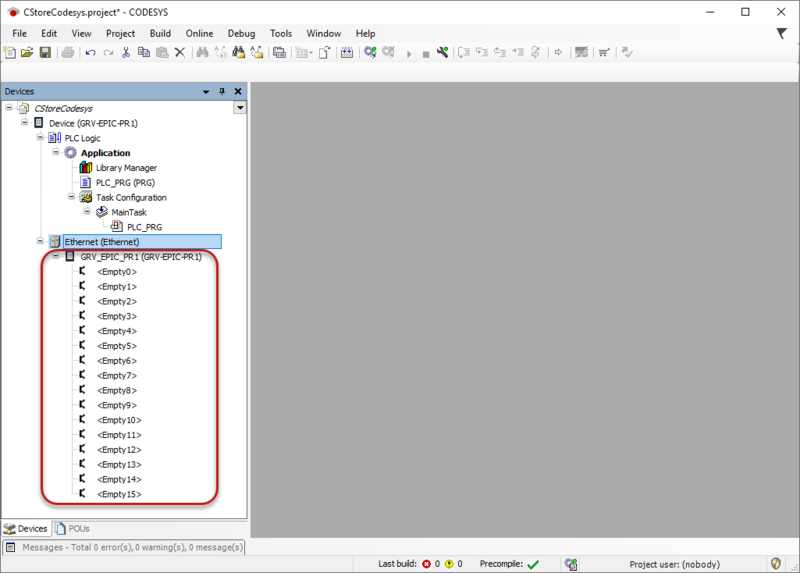 From the Select Device window, select your GRV-EPIC-PR1, and click OK. 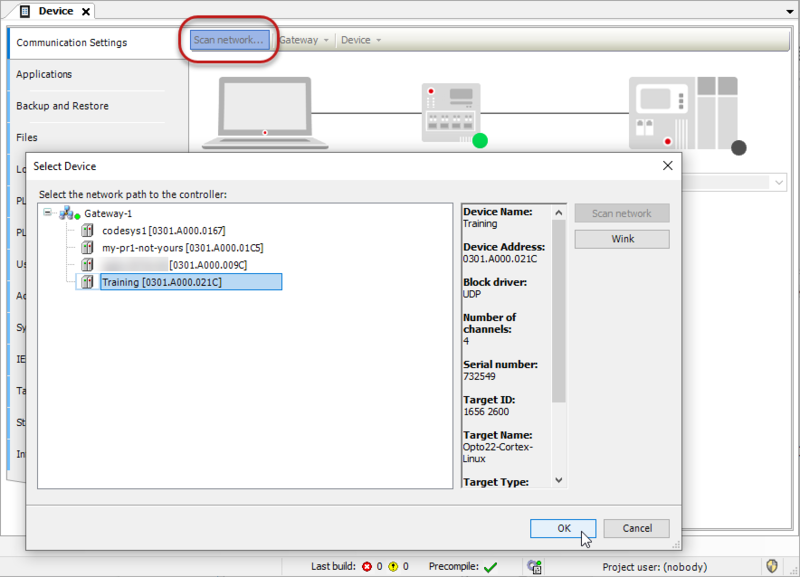 The green dots on the lower right corner of the Gateway and controller images in the Scan network window indicate your computer can communicate to the controller. 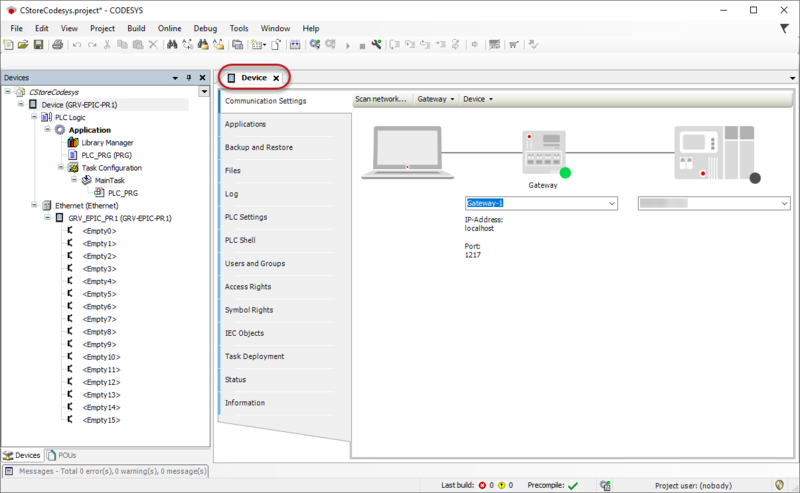 You’re now ready to download this empty configuration program to the controller in order to configure the I/O modules and points for your project. Steps to connect to the groov EPIC controller.